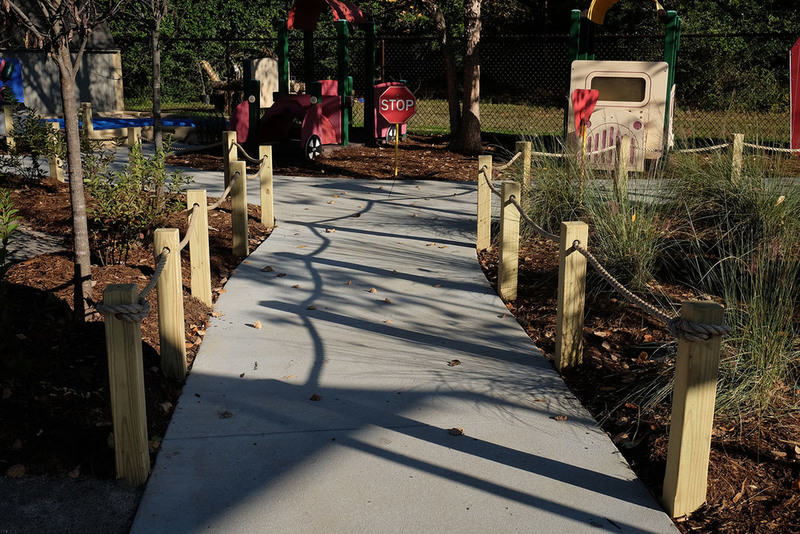 A growing family that loves to be outside together hired Lift[ED] to convert an existing clay tennis court into a recreation area that serves multiple generations and allows them to be together while enjoying their time outside. 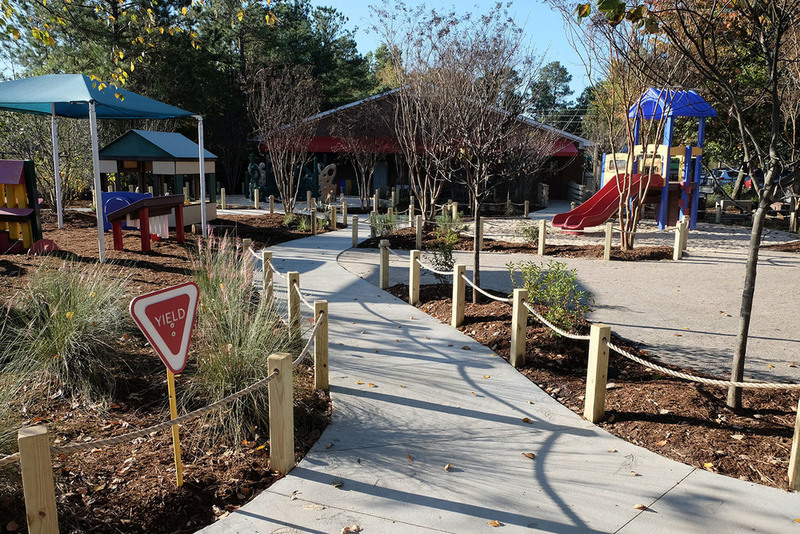 Taking an intergenerational approach to design, we included a walking/riding track, a multipurpose lawn, a horseshoe pit, a court for games, a fire pit, and a covered picnic area surrounded by a lush garden of native plants. 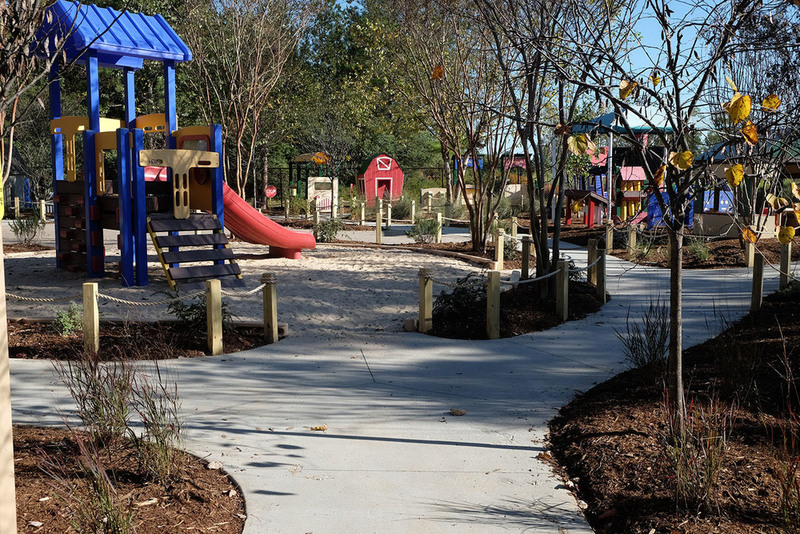 Primary Colors is a 5 star licensed child care facility in Durham, NC. 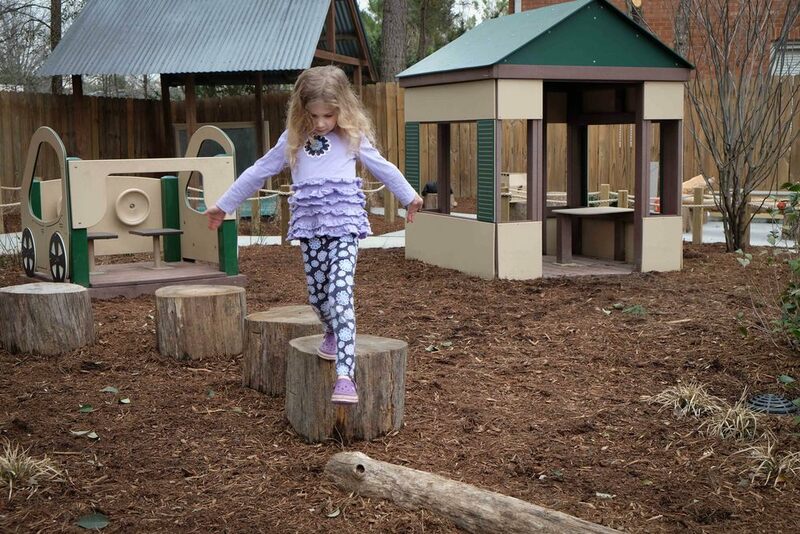 The owner, director, and staff are all committed to the idea that outdoor play is a critical component of childhood development. 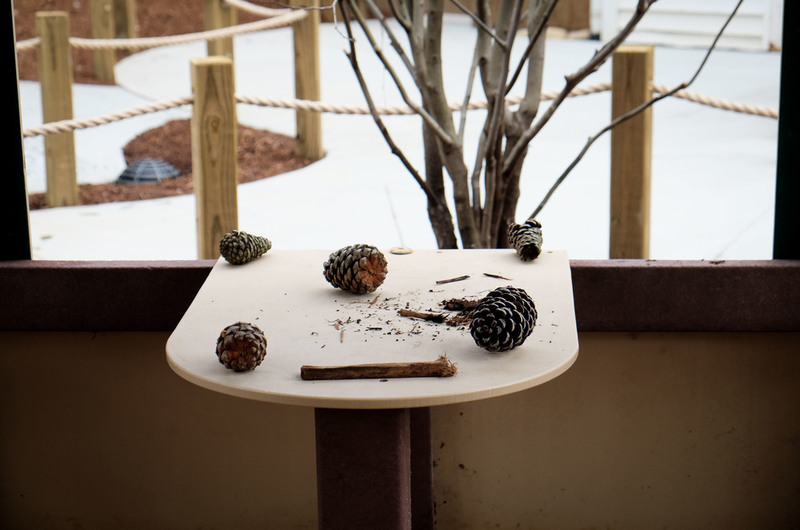 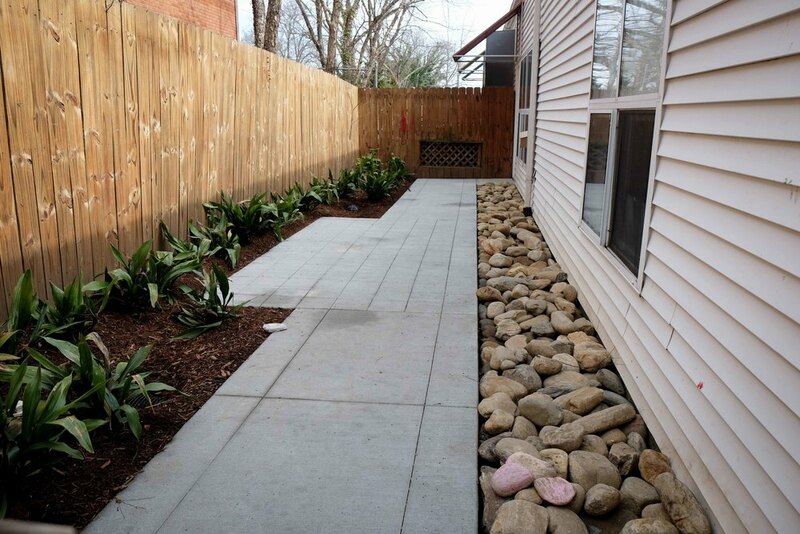 Their renovated outdoor learning environment supports their preschool classroom's curriculum, providing for extensions outside. 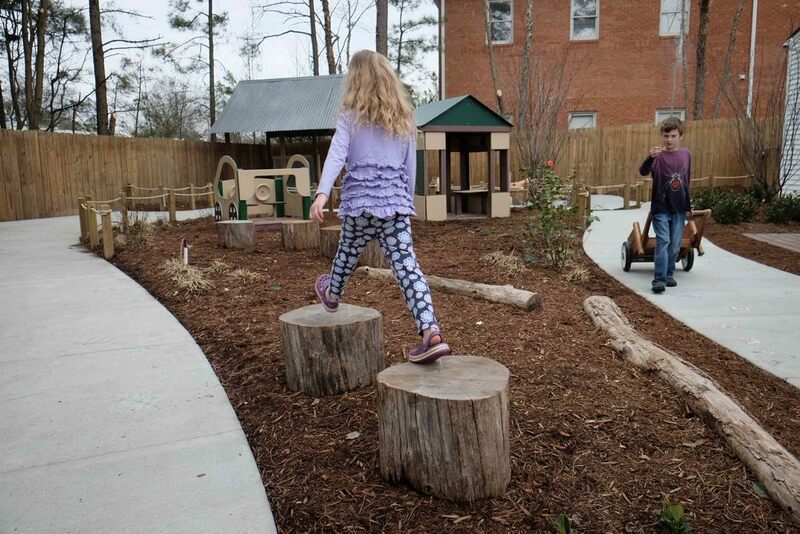 Kids get to spend time outside, building, balancing, riding, and learning with their whole body instead of being cooped up in the classroom. 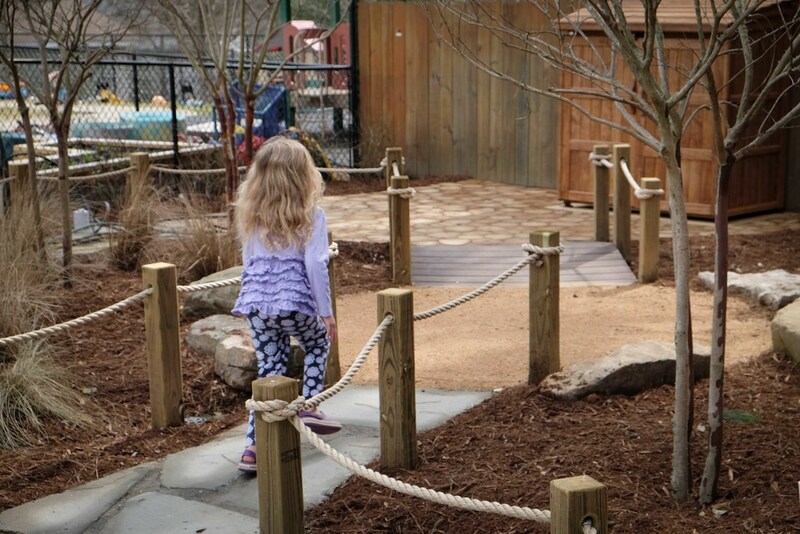 Outdoor time here is fun and the learning doesn't stop, it gets amplified by nature. 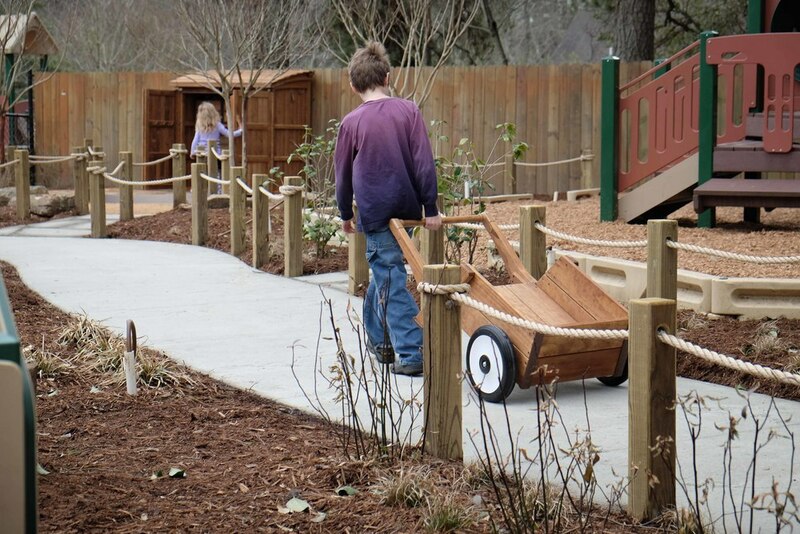 Design follow-through, construction drawings, and construction admin by Lift[ED]. 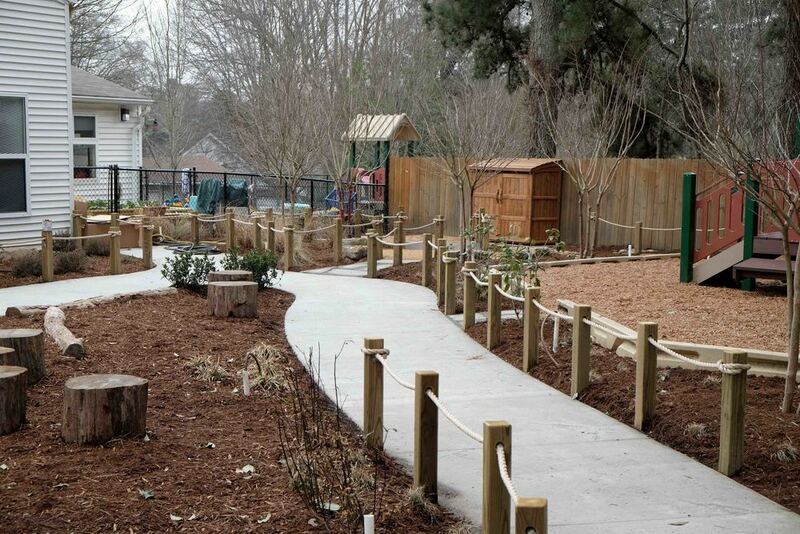 Durant Road Preschool is a 5 star licensed childcare center in Raleigh, NC. 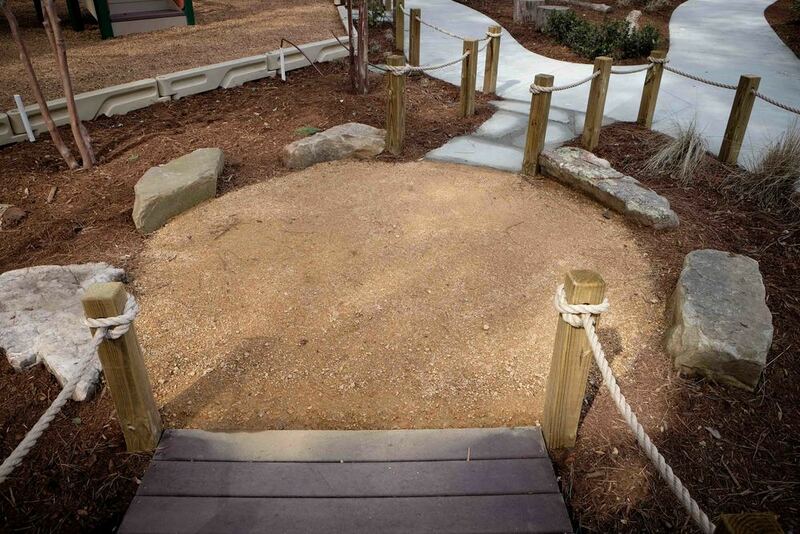 Our goals for the transformation of their preschool playground into an outdoor learning environment were to create synergy across the site. 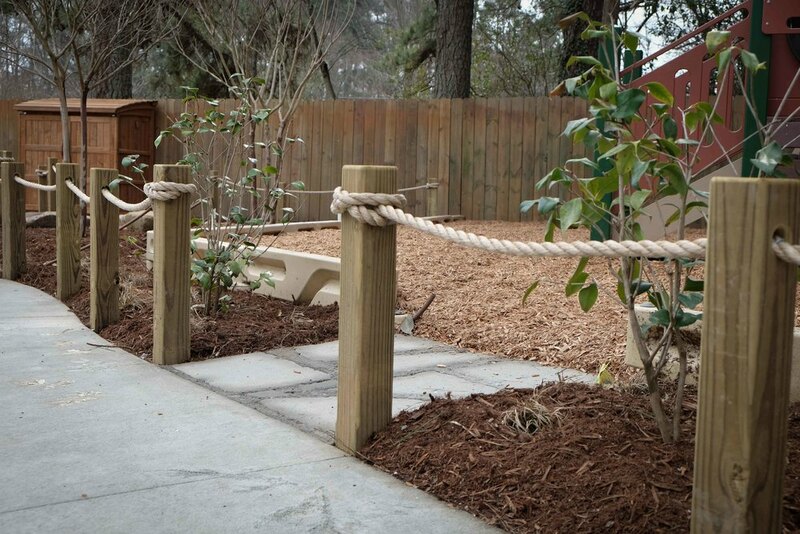 We kept existing playground equipment in place, weaving a curvy 5' wide path throughout the site. 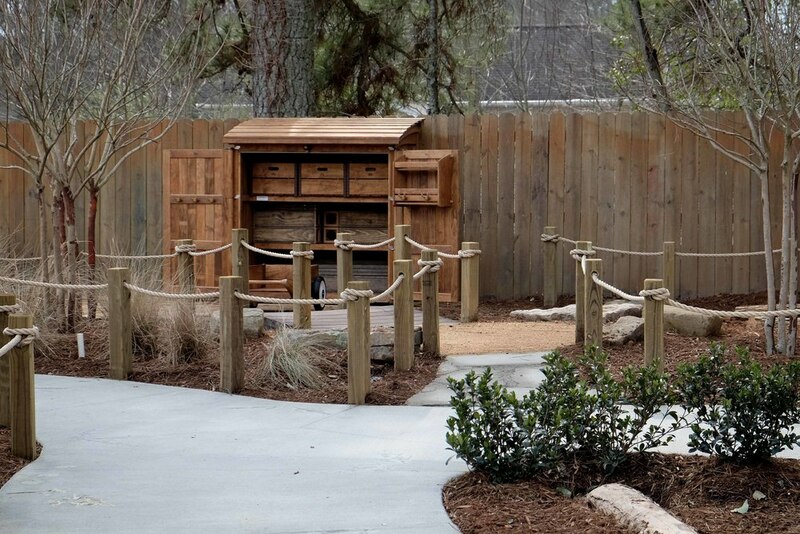 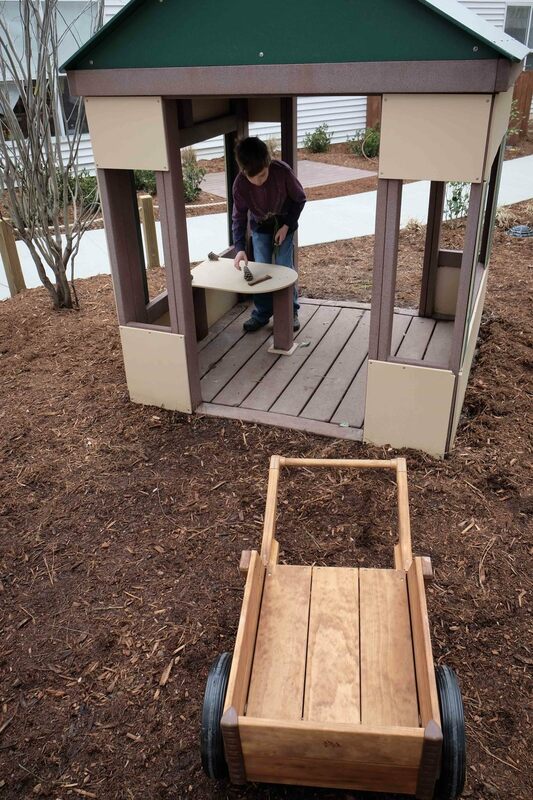 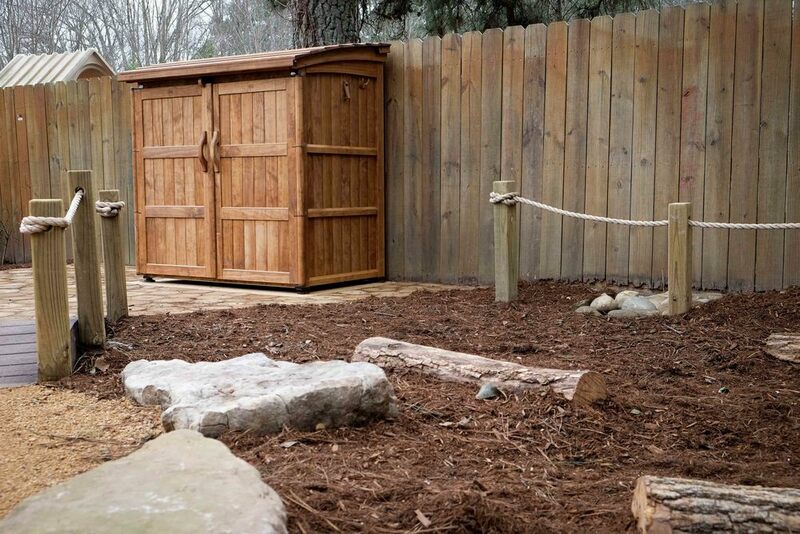 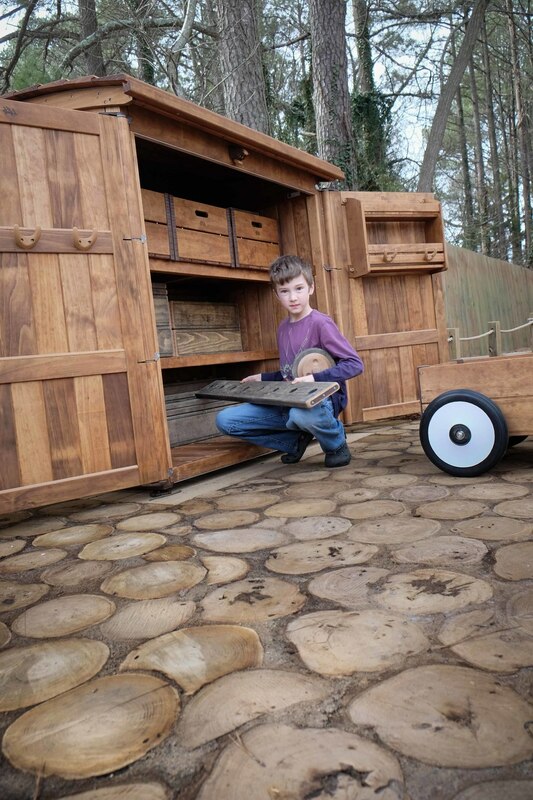 The project includes many new features, but also re-purposed several existing manufactured play items such as playhouses, toy cars, and shade structures. 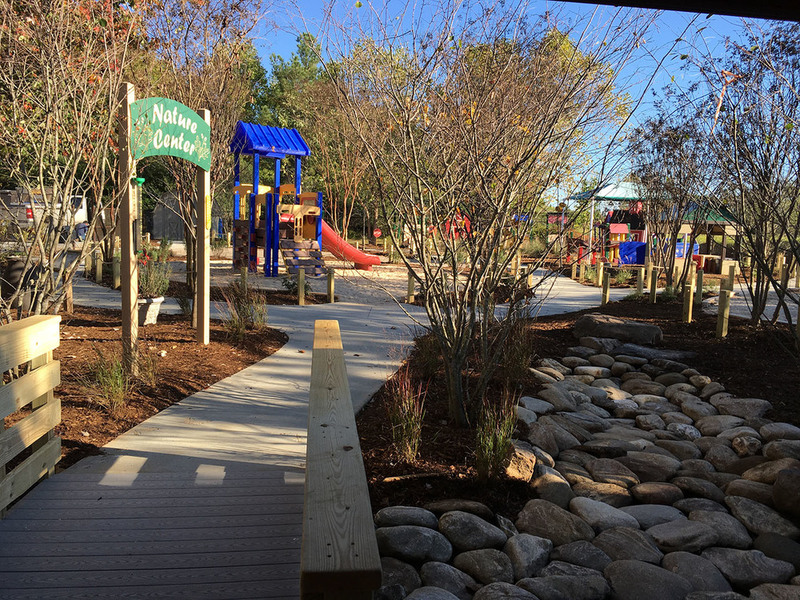 We've taken a space that had all the common playground components and created a unique naturalized outdoor learning environment. 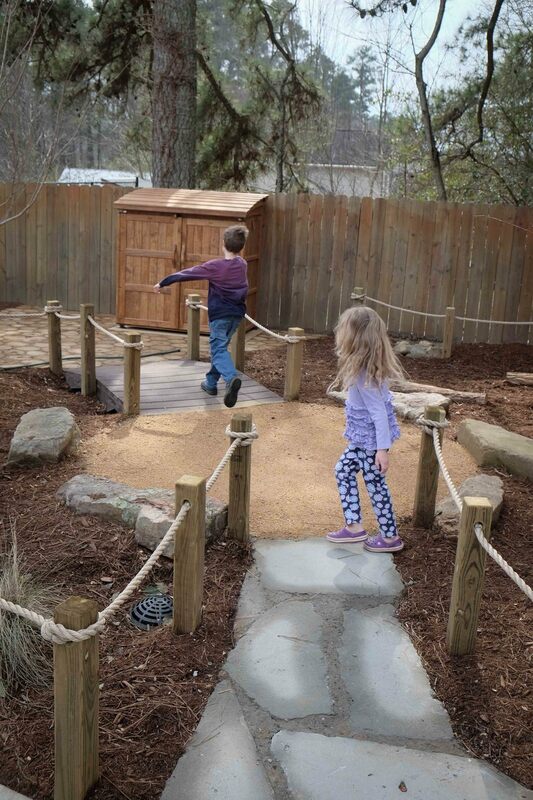 We added a water play area with a hand pump, a grass maze, a central lawn, the "trike track", a bridge, and many natural products such as locust balance beams provided by Wild Child Workshop.